G Suite Tips Library is a great tool for all ability levels to lean more about the power of G Suite products. Even the experts may find a new helpful tip here! Jamboard First Timer’s Guide. Jamboard is a physical board, but also an interactive whiteboarding app (Android, iOS, Web), and is a core G Suite for Education service. Teacher Training Center with access to trainings, certification programs, resources, and communities. Explore the G Suite Learning Center and learn about new feature products. Follow @GoogleForEDU on Twitter for product updates, EDU releases, and use cases. Free AR & VR training on Coursera for all students & faculty to take to get started. like AR & VR, Learning and Instructional Content or Accessibility. Physical Plant will be conducting a generator test in Horan Hall Friday, April 26th at approximately 1pm. If you have any questions, please contact ITS at its@manhattan.edu or at extension x-7973. We apologize for this inconvenience. Google Hangouts Meet is transitioning. Please review this Transition Timeline for additional info. What is Google Hangouts Meet? Dial-in allows you to connect to a meeting using a phone number as an alternative to the meeting code. This feature will automatically be selected when you select the Hangouts Meet conferencing option while creating a calendar event in Google Calendar. Note that this dial-in feature uses an international phone number, which allows meeting participants in other countries to join the Meeting. Please visit this G Suite Updates Article for more information about Dial-in. Why should you use Hangouts Meet and Dial In? It promotes communication from anywhere in the world. This is especially useful for quickly joining a Hangouts meeting on-the-go via a laptop or phone call. Google Hangouts Meet Hardware is a meeting device found in select rooms on campus that enables video conferencing powered by Google Hangouts. With these devices, you can hold a video conference with up to 25 participants. 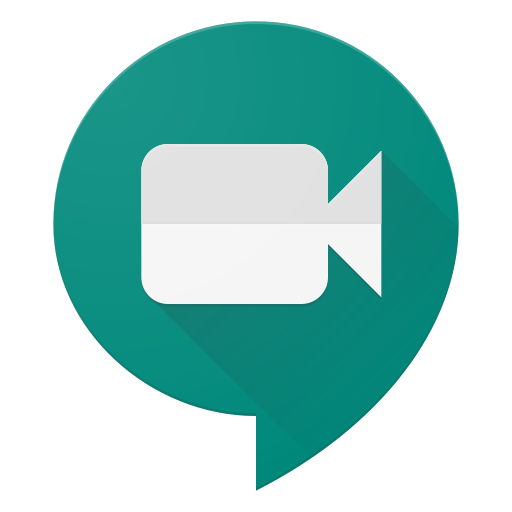 Google Hangouts Meet Hardware on campus use full HD 1080p cameras. 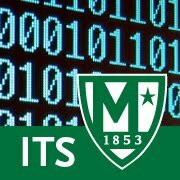 At approximately 9:33am EDT it was reported to ITS that users were receiving an error message when attempting to upload files to moodle. A system disk was found to be full do to some large run-away file conversion processes. The issue was resolved at approximately 9:45am. We will continue to monitor closely to ensure this issue does not happen again. G Suite is Google's full range of productivity apps based in the cloud that allow you to connect, access, and create. Clicking on each app name will direct you to the G Suite Learning Center for that product. With G Suite, you can connect by utilizing Gmail, Google Calendar, and Hangouts Chat, and Hangouts Meet. Gmail allows you to be updated with secure, private, and ad-free email. In addition, Gmail keeps you updated with real-time message notifications, and safely stores your important emails and data. Google Calendar allows you to set up events on a cloud based calendar, and it is integrated seamlessly with Gmail, Drive, Contacts, Sites and Hangouts. You can also schedule events quickly by checking coworkers' availability or layering their calendars in a single view. You can share calendars so people see full event details or just if you are free. 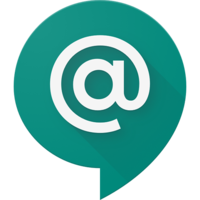 Hangouts Chat is an instant messaging solution that allows for communication either with one person or an entire group. It also features bots that can integrate other Google features such as Google Calendar and Google Drive as shown in the following image. Hangouts Meet is a video conferencing solution that will be covered in next week's Tech Showcase. G Suite also allows you to utilize cloud storage using Google Drive. G Suite allows you to have unlimited Google Drive cloud storage. This means you can store, access, and share your files in one secure place. You have the ability to access files anytime, anywhere from your desktop and mobile devices. Google Drive is especially useful for using less space on your device. Additionally, you can create Team Drives which foster collaboration by allowing a shared drive where multiple people can upload files. With G Suite, you can also create Google Docs, Slides, Sheets, and Forms. These programs are Google's word processor, presentation, and spreadsheet programs. Google Docs allows you to create and edit text documents right in your browser with no dedicated software required. Multiple people can work at the same time, and every change/revision is saved automatically. It also allows you export to other file types such MS Word, PDF, etc. It can also convert Word files to Docs. 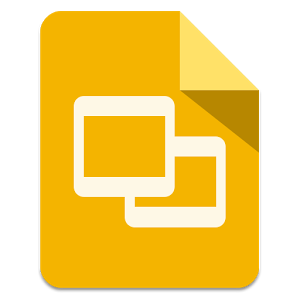 Google Slides allows you to create and edit presentations in your browser with no software required. Multiple people can work at the same time, and every change/revision is saved automatically. It also allows you export to other file types such PPT, PDF, etc. It can also convert PPT files to Slides. Google Sheets allows you to create and edit spreadsheets in your browser with no software required. Multiple people can work at the same time, and every change/revision is saved automatically. It also allows you export to other file types such Excel, PDF, etc. It can also convert Excel files to Sheets. Google Forms allows you to easily create forms for surveys and questionnaires. Responses can be tracked from Google Forms as well as Google Sheets where it is integrated seamlessly. Earlier this year ITS caught an email, which attempted to steal someone's paycheck. can the change be effective for the current pay date?. Thankfully this was not delivered to anyone's inbox with the help of some tools Google offers. But what if the email was delivered successfully? The phishers are hoping that no out of band communication will happen such as phoning the employee they are posing as. Also the phishers are hoping that manual and form-driven processes are bypassed to quickly get work done. Do not be surprised if phishers start posing as family members asking for help. Phishers can surf the web and track your social media accounts to build a comprehensive graph of people you likely know. Talk to your loved ones about this type of scam. Be safe. Another day, another phishing email.